ARRGGHH! The Pirates are back! ARRGGHH! Many of you will have seen Pirates of Penzance, but how many of you have seen it on a boat, on a moving boat! The Pirate King is back this year taking over the Dolphin Explorer and other venues! 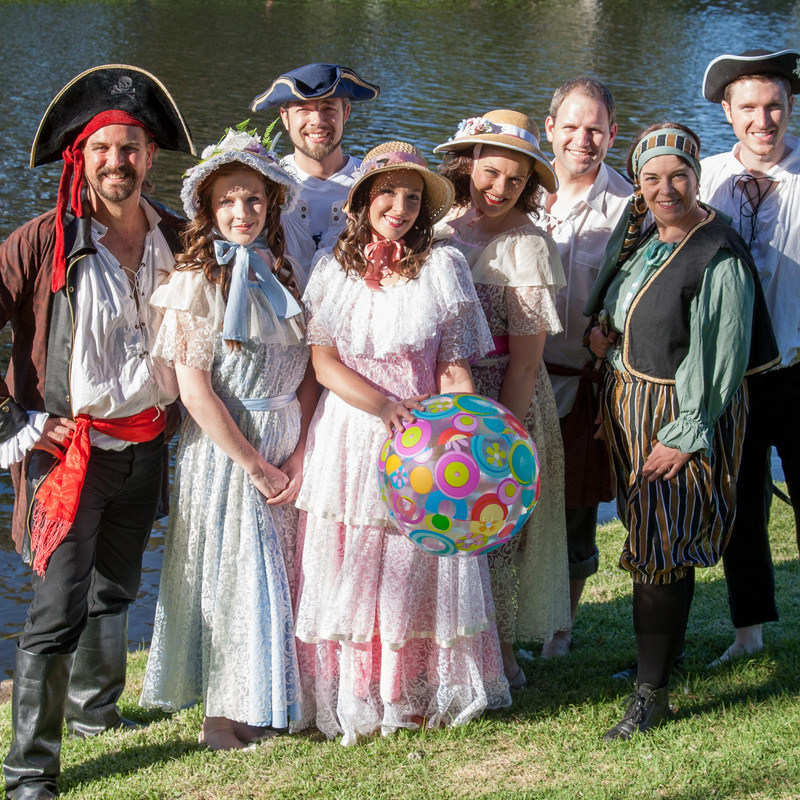 This hilarious adaptation of Gilbert and Sullivan's classic operetta is staged in one hour, with a local cast of only eight, featuring some of South Australia's best performers. Live accompaniment on piano too! This version is an immersive experience and has been hugely popular with sell-out Adelaide Fringe Festival seasons for the last five years! The Dolphin Explorer cruise lasts two hours with the opportunity for dolphin watching! All other performances last one hour. The Hortas performance includes a 3-course meal. Feel free to come orphan! Emma Knights is a graduate of both the Elder Conservatorium (classical performance) and the Western Australian Academy of Performing Arts (contemporary music). She is a full-time freelance musician working as a pianist, a musical director, composer, songwriter, orchestral/band musician and repetiteur/accompanist. She has toured professionally with Opera Queensland and internationally with Vintage Vendetta and her own company, Emma Knights Productions. Most recently she was an invited accompanist for the International Congress of Vocal Teachers in Stockholm, Sweden. Emma has music directed several award-winning or nominated shows including Chicago, Xanadu & Jerrys Girls. Her company has recently reached five years and has been the recipient of many tourism and arts awards.